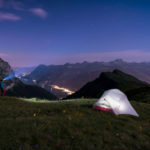 Joby is an innovative brand that is there to provide you with lightweight photographic tools and accessories that help to you create captivating video and stunning photographs no matter the terrain. 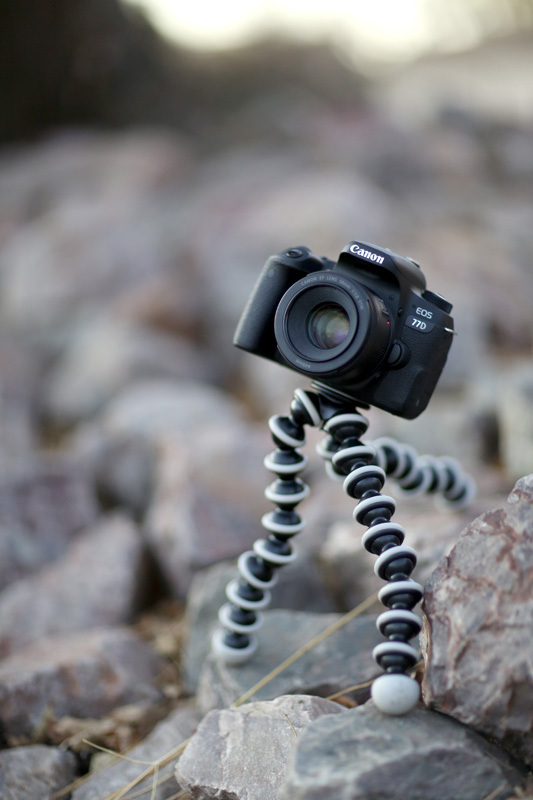 Think flexible tripod legs and rubberised ring and foot grips… perfect to take along on your adventures. Whether you’re a professional photographer in need of a tough tripod alternative; a traveller looking to take some out-of-this-world adventure photographs and videos; a hip young Vlogger in need of a small flexible tripod, or a gadget junkie there’s a Joby product you’ll love. This is one of my favourites as the GorillaPod Focus & Ball Head can perform some actions that a regular tripod simply cannot. At first, my petite arms struggled to manoeuvre the flexible legs, but I soon got the hang of how it moves and had some fun with it. 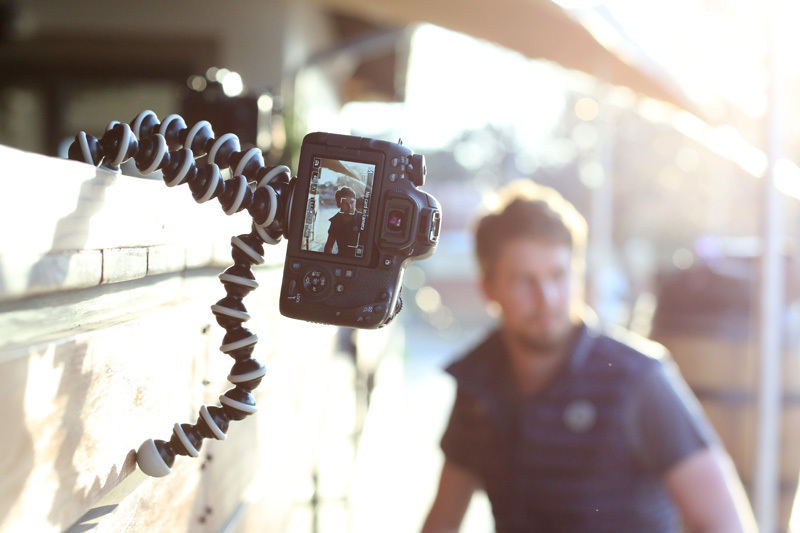 The GorillaPod Focus & Ball Head can support a whopping 5 kg, which means you can easily support a professional DSLR camera like the Canon EOS 6D Mk II with an EF 70-200mm f/2.8 L-Series Lens or even a camcorder like the Canon Legria HF G40. 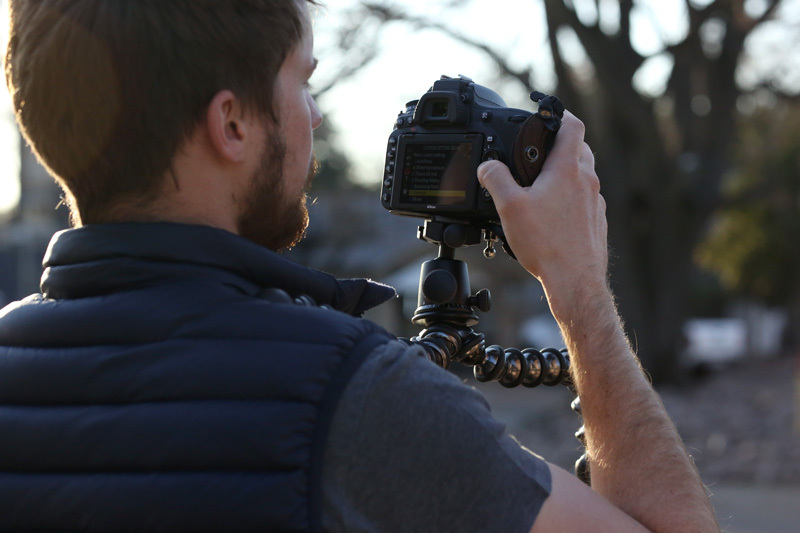 Joby’s Ball Head X provides precise control and allows you to capture smooth-panning video or quickly switch between shooting portrait and landscape. This is a lightweight, compact tripod that can fit into a regular backpack; a feature that makes it perfect for travelling adventurers. 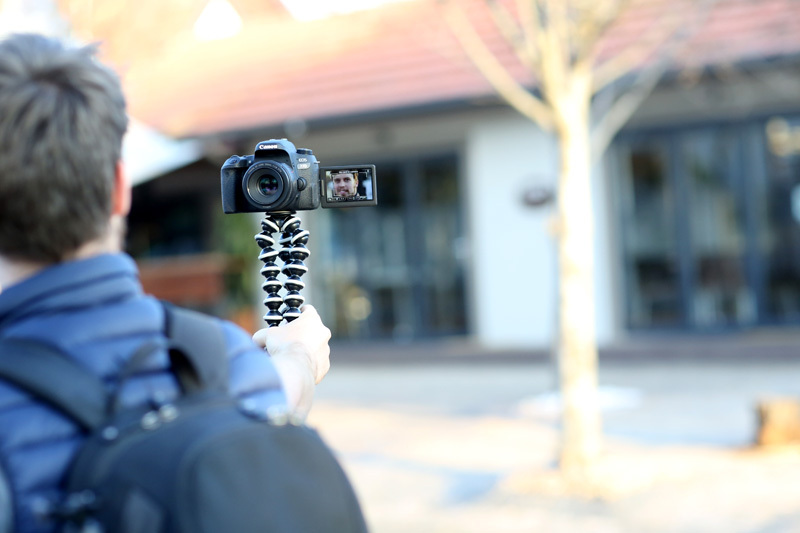 Listen up all Vloggers, this one is for you! 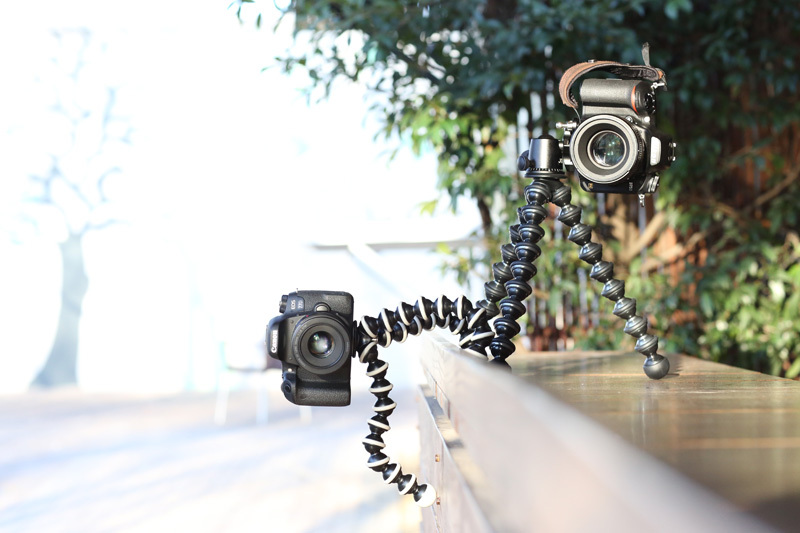 Even more compact and lightweight than the Focus, the GorillaPod SLR-Zoom is a flexible tripod for smaller DSLR and mirrorless cameras. I would argue that this is a must-have item in any photography bag. 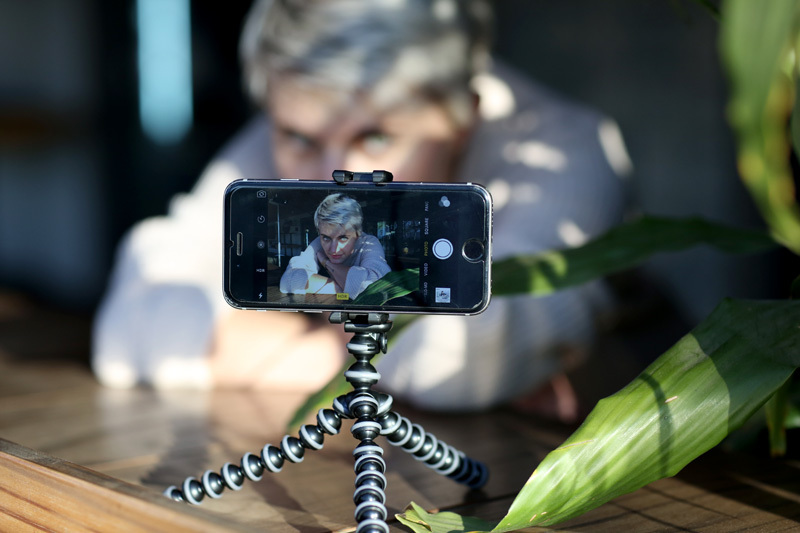 It comes with a 1/4″-20 standard tripod mount and 3/8″ adapter, which means that you can securely mount cameras or tripod heads to your Joby GorillaPod. Wrap this little guy just about anywhere and capture interesting, captivating footage. Wow! 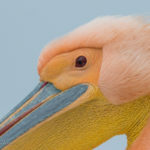 Is this thing cute or what? The GripTight GorillaPod Stand is lighter than my iPhone. 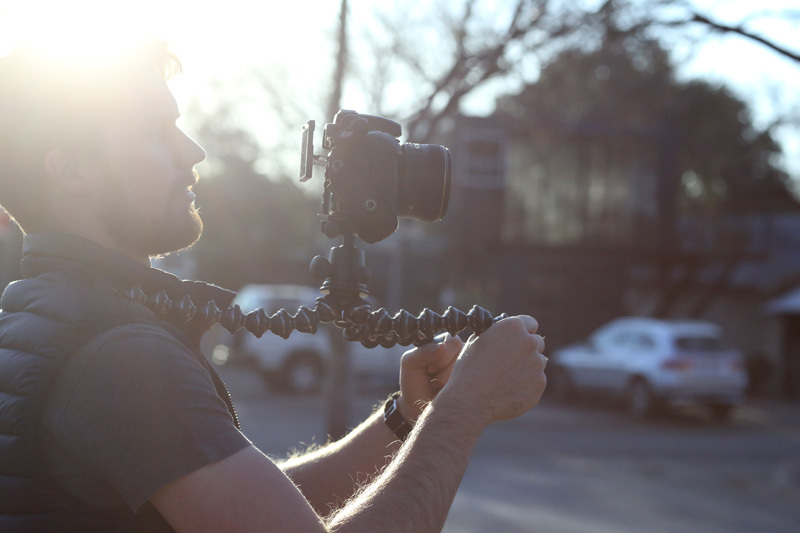 Wrap it around your wrist to capture smooth video footage or around the branch of a tree to change up perspectives. 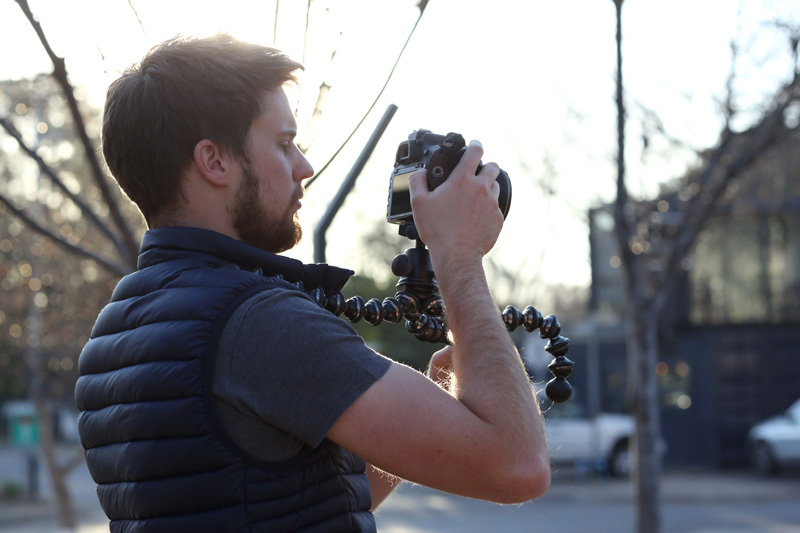 Use the GripTight GorillaPod Stand with the Joby Impulse Bluetooth Remote to give yourself even more freedom. It is a remote camera shutter button for Smartphones and is compatible with both Android and iOS. Using Joby is an overall fun experience. It allows you to do things differently and be creatively free. 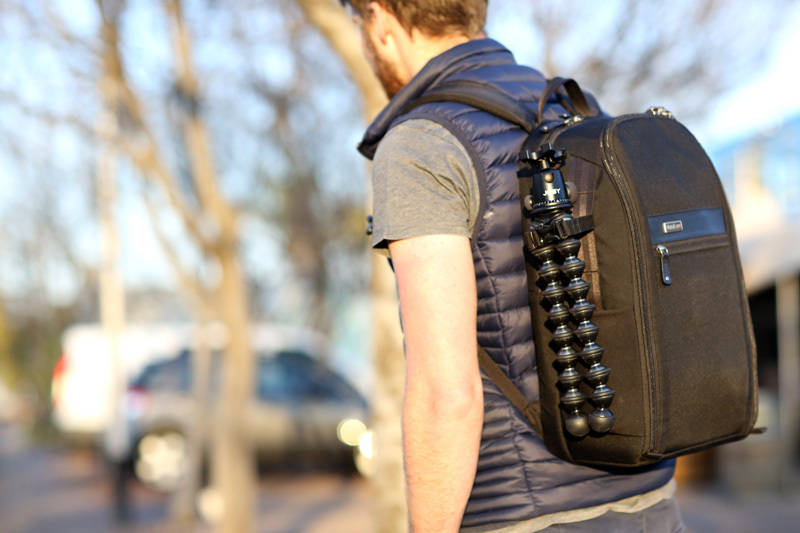 It is the ultimate, compact travel tripod. Find out more about Joby’s range of products and choose the one that best suits your photographic style.